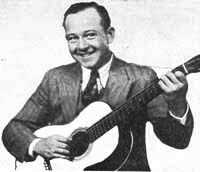 Denver Darling was born in Cumberland County, Illinois in 1909. He spent his early life on a farm. The farm was a bit isolated from the surrounding towns, so in winter, when he was especially cut off from social contacts, he learned to entertain himself a bit by learning to strum a guitar and singing along. 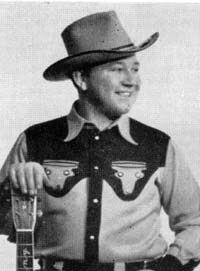 As he grew older, he would perform at various local community functions and entertain the folks with the songs and ballads of years gone by. He gained his first bit of broadcast experience while he was attending the Citizens Military Training camp at the Jefferson barracks in St. Louis, Missouri. While there, he did some work with a group of men in training. His commanding officer mentioned to the KMOX studio director that Denver sang old time songs. So, he began to be featured on these weekly broadcasts. After his training was over, Denver went back to his home in southern Illinois. But the radio bug had gotten into his system and he got work on several stations in the midwest. In a song folio we found that is undated but seems to be from around 1930 or early 1930s, radio station WSBT in South Bend, Indiana lured Denver to start working at their station. The management there mentioned they needed the music of his type for their audiences and induced him to come there. Needless to say, their audiences were appreciative of his renditions of the early American tunes. While he was at WSBT, which was owned by the newspaper, the South Bend Tribune, he appeared with just himself and his guitar. But there was mention made of the 'Studio Orchestra' then. There was Ray J. 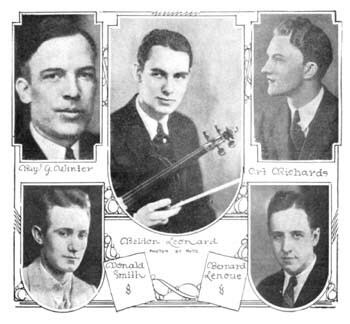 Winter, Donald Smith, Bernard Lenoue, Art Richards and Beldon Leonard, who appeared to play the fiddle. The others, no mention was made as to what instruments they played. 5004 B Have I Stayed Away Too Long?